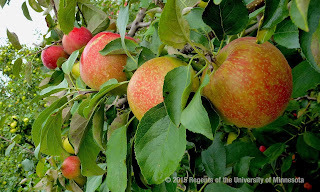 Perhaps you've recently planted some apple trees, and you are ready for the next steps to help them produce a healthy crop of fruit. Or maybe you just moved into a home with a couple of trees in the yard. Either way, pruning will be a crucial part of caring for these apple trees. Pruning is essential for reliable fruit production from year to year. 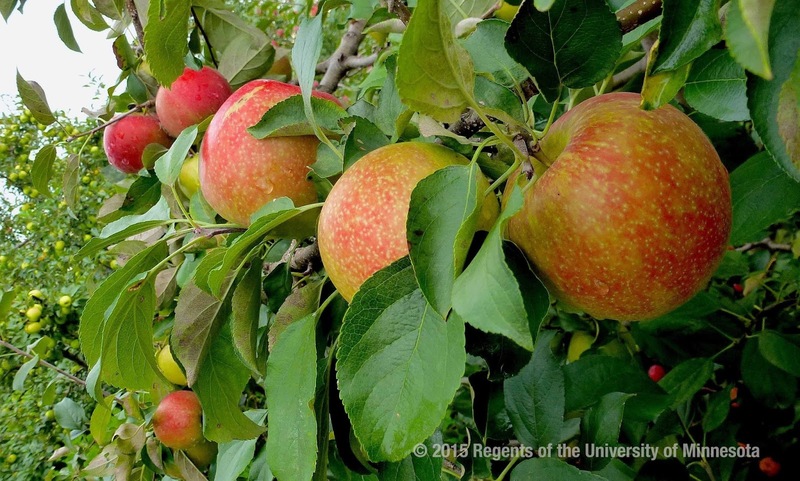 If left to their own devices, apple trees will develop dense canopies and many small fruit with uneven ripening, reduced quality, or generally lower productivity. Pruning focuses the tree’s energy into producing larger, higher quality apples and increases airflow through the tree, reducing disease potential. Apple trees should be pruned every year during dormancy. Early spring is a great time to prune, after the coldest winter temperatures have passed but before the trees break dormancy and bloom. Branches vary in sizes, so a mix of small hand pruners, loppers, and a hand saw will help cut various sized branches more effectively. Eliminate dead, damaged, and diseased wood. Several specific tasks can help meet these goals. First, pruning should focus on maintaining productive branches containing fruiting buds, while reducing the amount of excess vegetation that is either less productive or is getting in the way of sunlight reaching the fruit throughout the tree. Pruning involves eliminating some fruiting buds, and that is okay. Look for places in the tree where branches are overlapping or crossing each other, and remove the one that is less productive or is interfering more with the rest of the tree. Remove all “water sprouts,” meaning thin, unproductive shoots that are growing vertically from a main branch. Remove branches growing downward as well. Keep the branches near the top of the tree shorter than those closer to the bottom. For more information on choosing where and how to prune, please watch the video series.